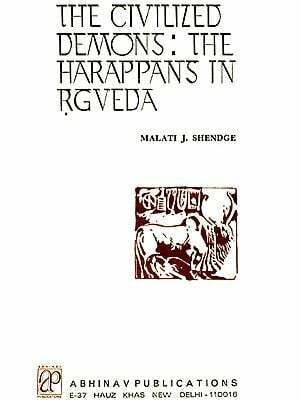 This Bibliography constitutes a fairly comprehensive, critical, and up-to-date record of the most significant writings relating to the Harappan (Indus valley) civilization. 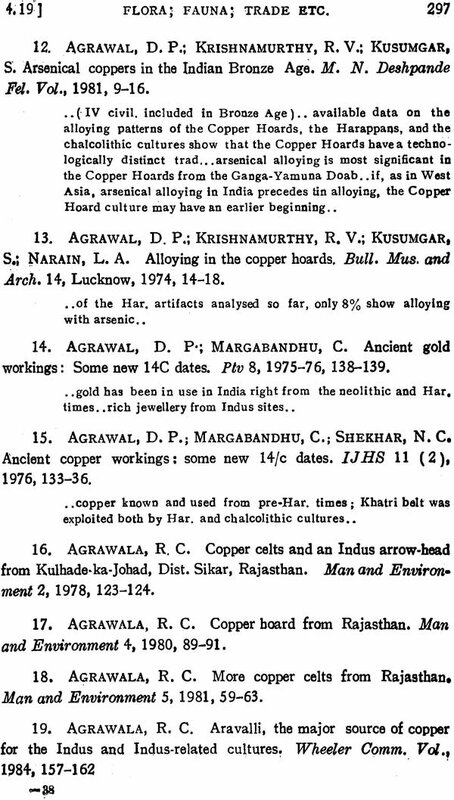 It contains nearly 3500 entries which have been conveniently arranged subject wise in 9 sections. 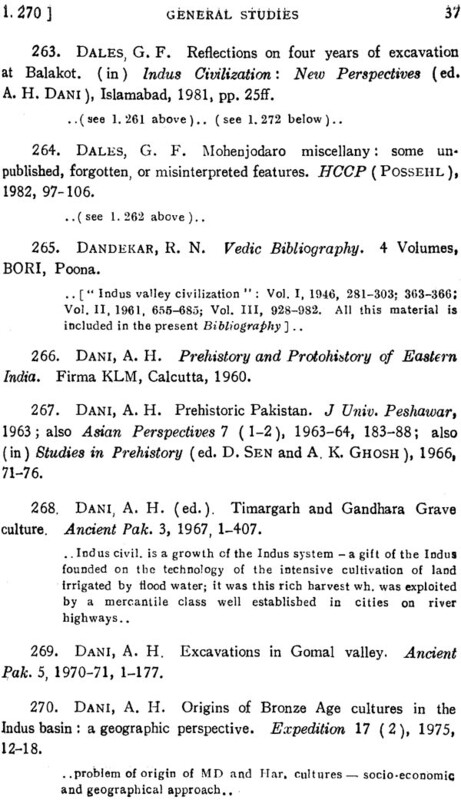 Brief indication of the contents of a large number of books and books and articles recorded herein (and, in some cases, also of reviews) has been given. 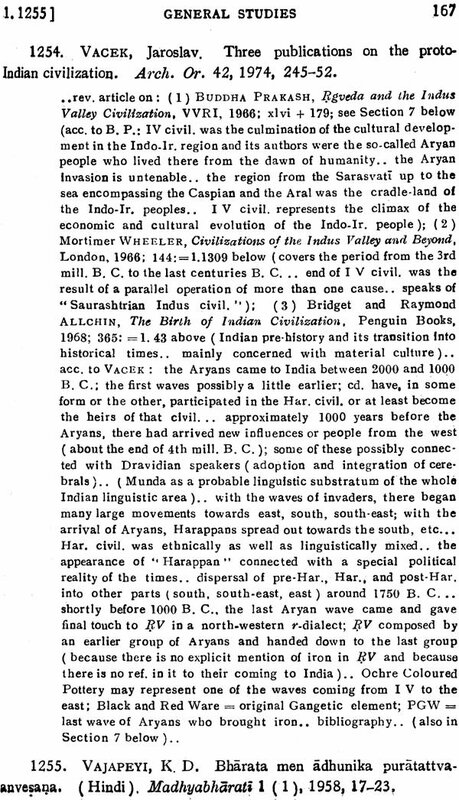 It may be recalled that In each of the first three volumes of my Vedic Bibliograph1l I have included a chapter on Indus Valley Civilization. 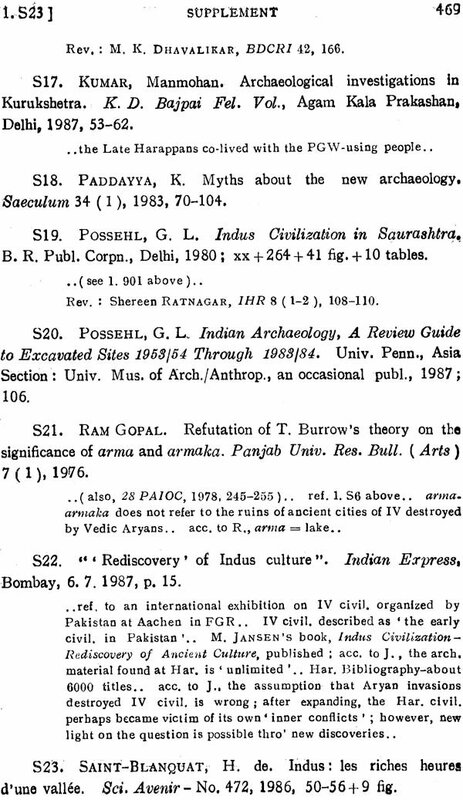 Some friends, however, pointed out to me that, on account of the specific title of that Bibliography, those chapters were often overlooked by scholars who were interested only in Indus Valley Civilization. 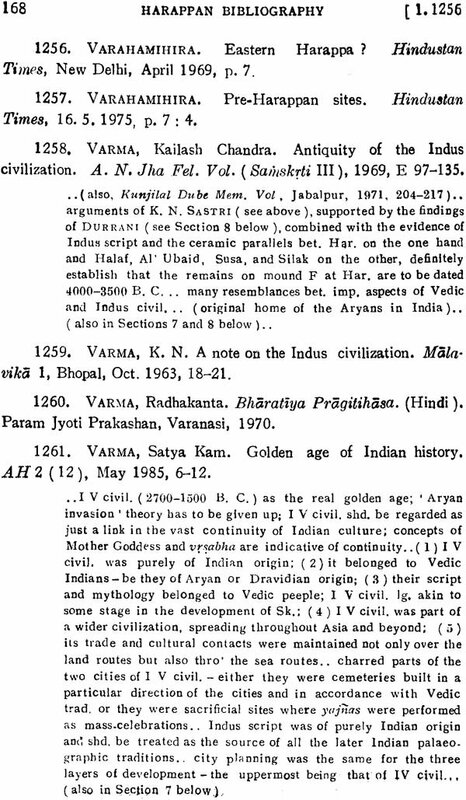 Therefore, and also because of its growing dimensions, I refrained from including a chapter on Indus Valley Civilization in the fourth volume of the Vedic Bibliography, But as I have indicated in the preface to that volume. 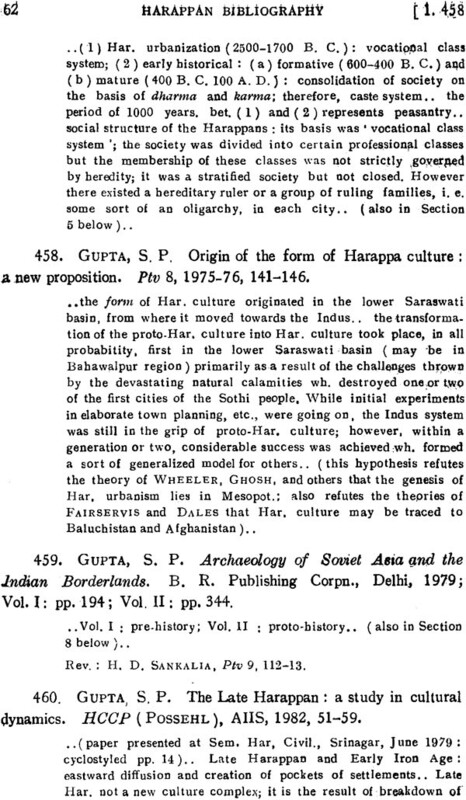 I intended publishing the material on Indus Valley Civilization which I had collected for that volume, separately somewhere else. 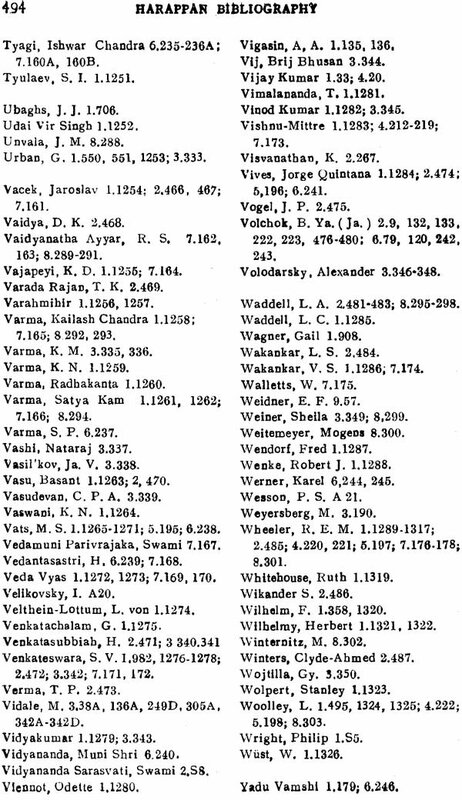 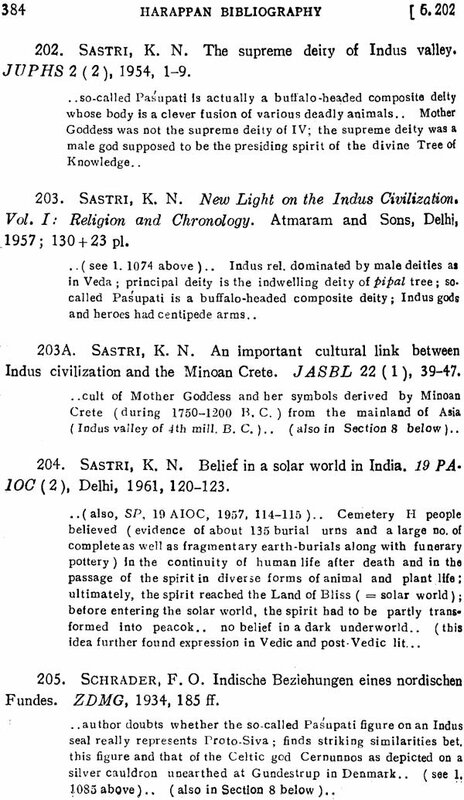 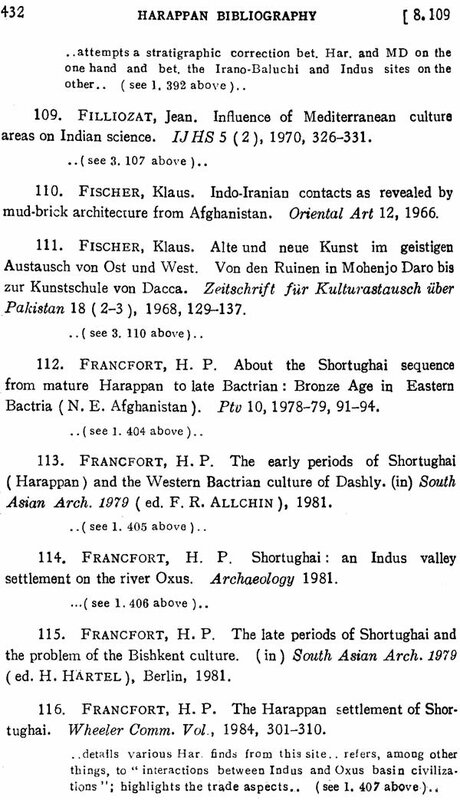 At this stage it was suggested to me that it would be desirable if all the material regarding Indus Valley Civilization namely, that which had been already included in the first three volumes of the Vedic Bibliography and that which was collected for the fourth volume was put together to form a whole independent volume. 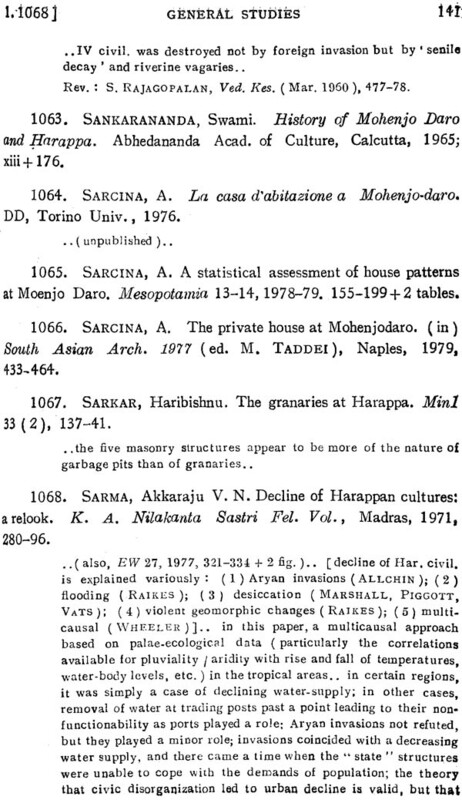 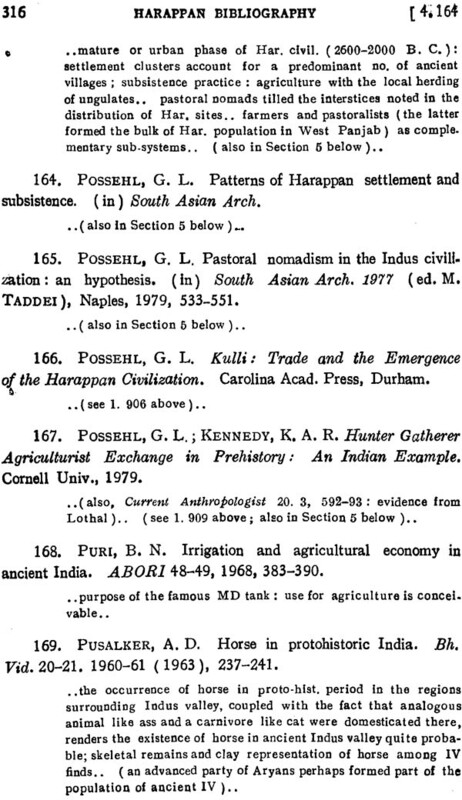 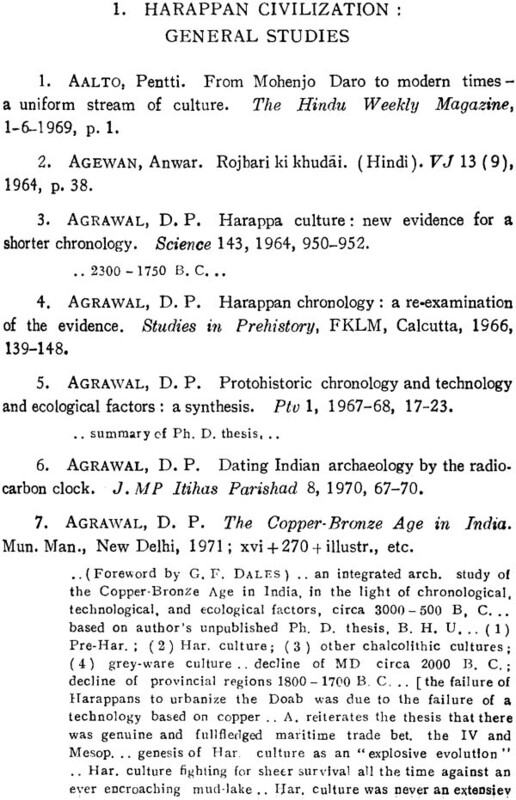 This is how the present Harappan Bibliography bas come into being. 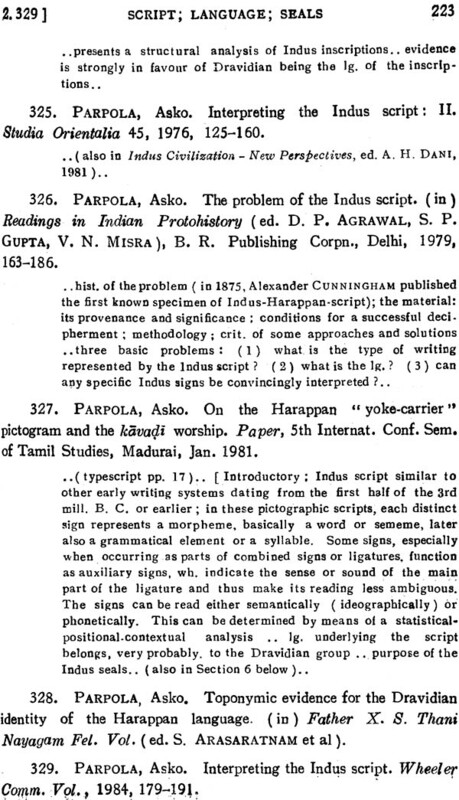 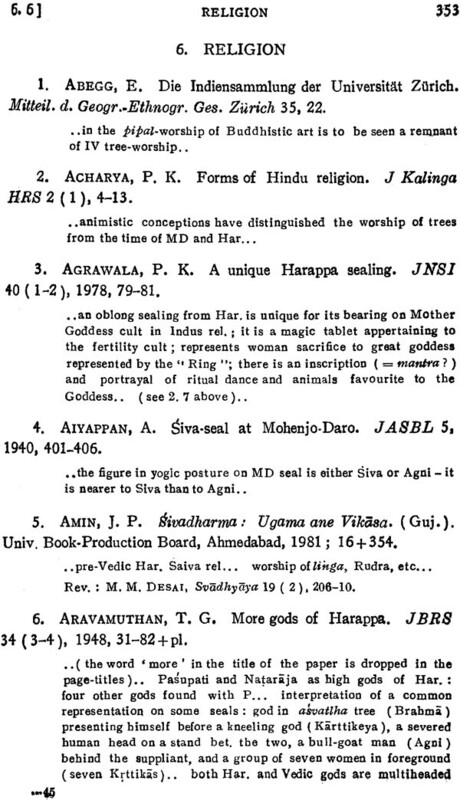 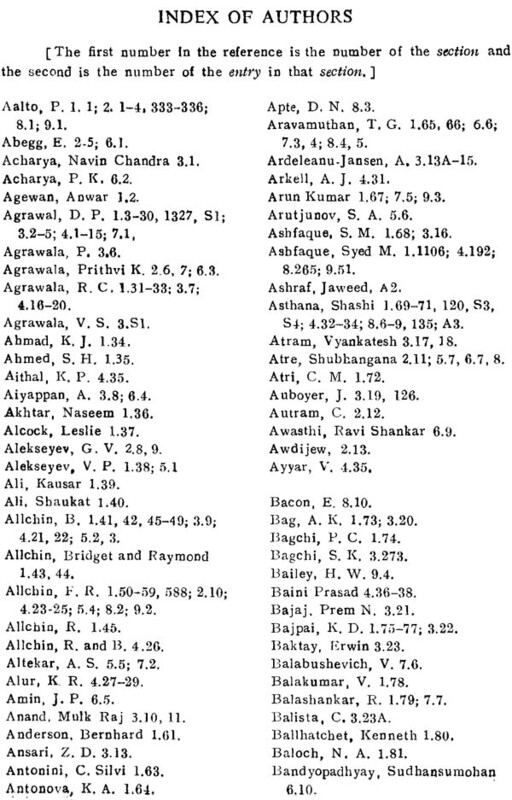 The Index to this volume like the two Indexes to the fourth volume of the Vedic Bibliography, bas been compiled by my friend Dr. S. K. Lal of the Centre of Advanced Study in Sanskrit, University of Poona, for which my cordial thanks are due to him. As usual, the Bhandarkar Institute Press was quite prompt and cooperative.